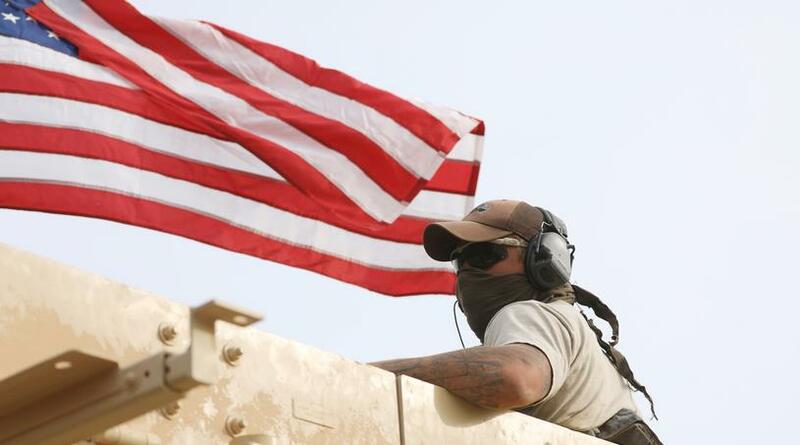 By "continued counterterrorism pressure," the report specifically means continued US occupation of both Syria and Iraq as well as continued military and political support for proxy militants the US is using to augment its occupation in Syria. The report itself notes that the last stronghold of ISIS exists specifically in territory under defacto US occupation or protection east of the Euphrates River where Syrian forces have been repeatedly attacked - both by US-backed proxies and by US forces themselves. The very fact that the report mentions ISIS is "regenerating key functions and capabilities more quickly in Iraq than in Syria" despite the US planning no withdrawal from Iraq seems to suggest just how either impotent or genuinely uninterested the US is in actually confronting and defeating ISIS. As to why - ISIS serves as the most convincing pretext to justify Washington's otherwise unjustified and continued occupation of both Syria and Iraq. US DoD's Own Report Exposes Weakness, Illegitimacy of "Kurdish Independence"
The report is all but an admission that US-backed militants in Syria lack the capability themselves to overcome the threat of ISIS without constant support from Washington. That the report claims ISIS is all but defeated but could "resurge" within a year without US backing - highlights the weakness and illegitimacy of these forces and their political ambitions of "independence" they pursue in eastern Syria. A Kurdish-dominated eastern Syria which lacks the military and economic capabilities to assert control over the region without the perpetual presence of and backing of US troops - only further undermines the credibility of Washington's Kurdish project east of the Euphrates. The Syrian government - conversely - has demonstrated the ability to reassert control over territory and prevent the return of extremist groups - including ISIS. Were the United States truly dedicated to the destruction of ISIS - it is clear that it would support forces in the region not only capable of achieving this goal - but who have so far been the only forces in the region to do so. In reality - the US goal in both Syria and Iraq is to undermine the strength and unity of both while incrementally isolating and encircling neighboring Iran. The US itself deliberately created ISIS and the many extremist groups fighting alongside it. The "Salafist" (Islamic) "principality" (State) would indeed be created precisely in eastern Syria as US policymakers and their allies had set out to do. It would be branded the "Islamic State" and be used first to wage a more muscular proxy war against Damascus - and when that failed - to invite US military forces to intervene in the conflict directly. While many see the announcement of a US troop withdrawal from Syria by US President Donald Trump and attempts to backtrack away from the withdrawal as a struggle between the White House and the Pentagon - it is much more likely the result of a collapsing foreign policy vacillating between bad options and worse options. The inability - so far - of Israeli airstrikes to even penetrate Syrian air defenses let alone cause any significant damage on the ground in Syria has further highlighted Western impotence and complicated Washington's plans moving onward into the future. 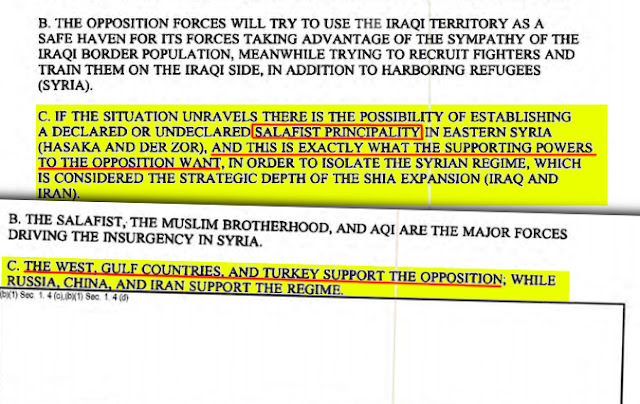 Turkey's teetering policy regarding Syria and the prospects of it being drawn deeper into Syrian territory to"take over" the US occupation - as described by the DoD Inspector General's report - will only further overextend and mire Turkish forces, creating vulnerabilities that can be easily exploited by everyone sitting at the negotiation tables opposite Ankara. It is still uncertain what Ankara will do, but as an initially willing partner in US-engineered proxy war in Syria - it is now left with its own unpalatable options of bad and worse. It is interesting that even the DoD Inspector General's report mentions ISIS' continued fighting capacity depends on foreign fighters and "external donations" - yet never explores the obvious state sponsorship required to sustain both. The DoD report and US actions themselves have all but approached openly defending the remnants of ISIS. While the prospect of violently overthrowing the Syrian government seems to have all but passed, the US is still trying to justify its presence in Syria at precisely the junctions ISIS and other terrorist organizations are moving fighters and weapons into the country through - in northern Syria, in southeast Syria near the Iraqi border, and at Al Tanf near the Iraqi-Jordanian border. Were the US to seek to consolidate its proxies and initiate a "resurge" of ISIS - the very scenario it claims it seeks to prevent - its control of these vital entry points into Syria and Iraq would be paramount. Allowing them to fall into Syrian and Iraqi forces' hands to be secured and cut off would - ironically - spell the end of ISIS in both nations. While Washington's words signal a desire to defeat ISIS - its actions are the sole obstruction between ISIS and its absolute defeat.